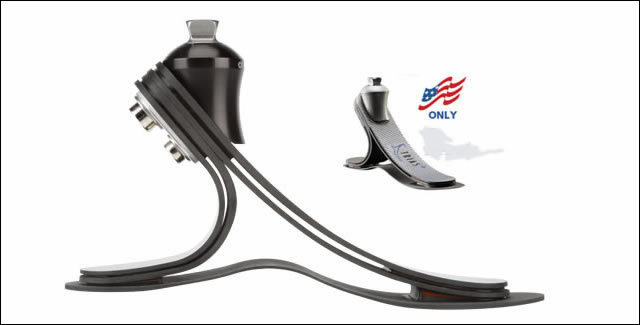 Pro-Flex XC has been developed to comfortably accommodate the relatively active user, who enjoys hiking and jogging, as well as level ground walking. Comes with an aesthetically pleasing, anatomical footcover and integrated male pyramid. Replacing the venerable Ceterus, the Re-flex Rotate meets the challenging requirements of the active user by combining optimal shock absorption, dynamic energy return and comfort, the Re-Flex Rotate is one of a kind. Featuring a sleek profile and maintenance free design it is the first choice for active users requiring high performance, comfortable everyday foot. The Re-Flex Rotate is available with the Unity elevated vacuum system. Pictured here with the Unity vacuum pump. 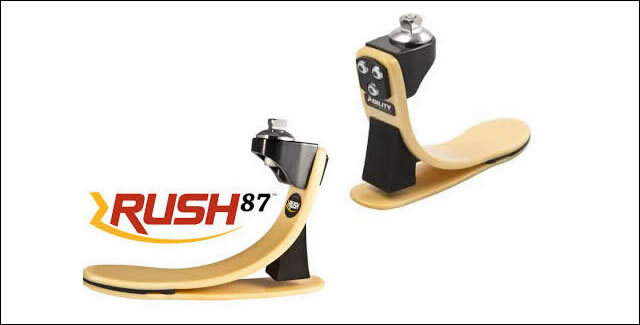 Thanks to the unique sole plate and virtually indestructible unique glass composite material the RUSH 87 delivers the smoothest transition from heel strike to toe-off of and the most realistic and responsive foot and ankle motion available. Patients will experience unparalleled comfort, range of motion and zero dead spots in every step. The energy return of this foot enables amputees to easily traverse the most aggressive terrain while experiencing zero dead spots. 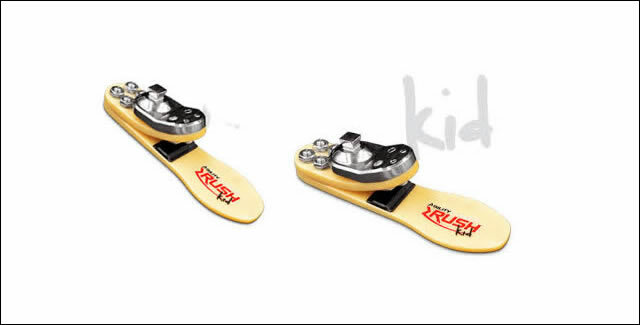 Built kid tough, the RUSH Kid™ pediatric foot can handle even the most extreme low or high clearance patient. Run, jump, play…the ultra low profile build delivers the most dynamic energy return and smooth roll-through of any pediatric foot on the market today. Mud, water, sand….no problem! The all-terrain RUSH Kid™ was built with active kids in mind. Say goodbye to broken carbon feet! 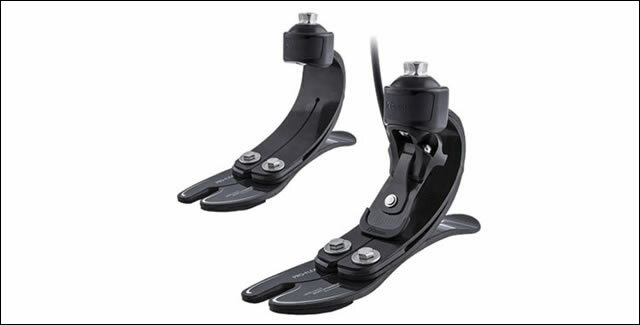 Setting a new standard for versatile, durable performance, the Renegade AT (All Terrain) prosthetic foot combines proprietary EnduraCore® Technology with multi-axial function in an extremely lightweight and uniquely integrated design. Add to this exceptional shock absorption and up to 35% greater energy return, and the result is a prosthetic foot that’s truly game-changing. Also available in a low profile version LP-AT. 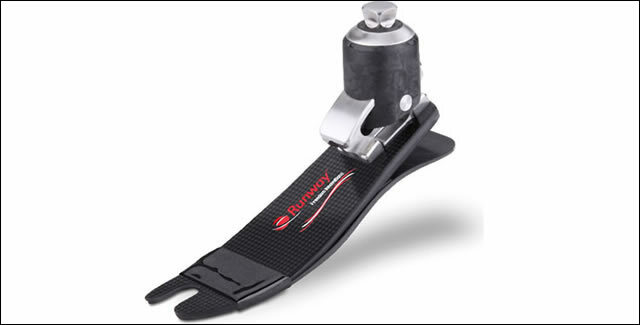 Amputees greatly value the versatility offered by the Runway adjustable heel height prosthetic foot. Its anatomical gliding ankle maintains appropriate foot alignment to provide knee stability and consistent performance at all heel heights. Users can adjust from a flat heel for sandals or walking barefoot at home, up to a 2 inch heel for dress shoes and even cowboy boots. The Runway is the only heel height adjustable product manufactured using carbon fiber, which stores and returns energy so that users can walk farther, faster, longer. The overall structure of the 1C31 Trias+ is similar to the human foot.. 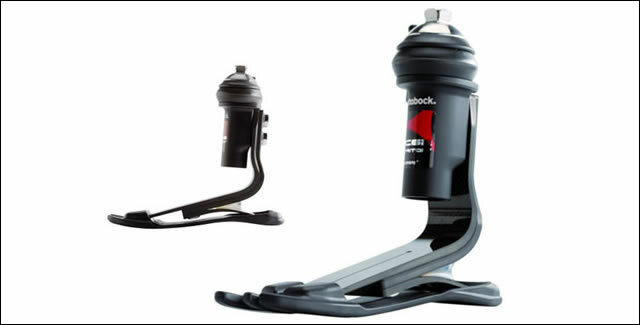 When studying the ground reaction forces, there are relatively small differences between the prosthetic and contra lateral side – this is a result of the foot’s excellent shock absorption and terminal stance support properties. Conjoined dual springs in the heel and forefoot provide shock absorption at heel strike as well as a more natural rollover. Secure, controlled movements give greater confidence while walking because the foot adapts well to various walking speeds and uneven surfaces. Improving the fit of your prosthesis can give you greater freedom through more confidence and improved limb health. The innovative Harmony pumps pull air out of your socket for a secure, intimate fit from the time you put your prosthesis on in the morning until you’re ready to take it off at night. When your prosthesis is securely in place, you have a better sense of where your leg is in space (proprioception), allowing you more freedom to move without wondering if your leg will slip or slide. 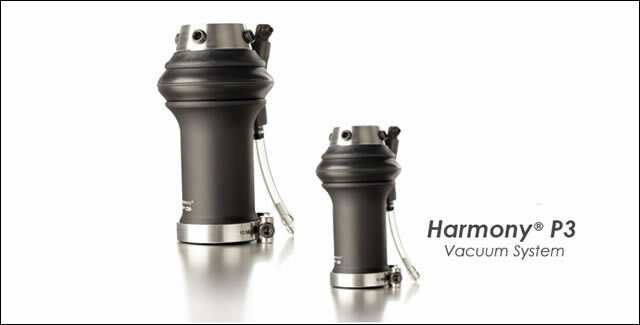 The Harmony System can even relieve problems with fluctuating limb volume. Some studies show that the Harmony System improves circulation*, thereby helping to maintain the size of your residual limb throughout the day. This relieves you of the burden to add socks to maintain socket fit. 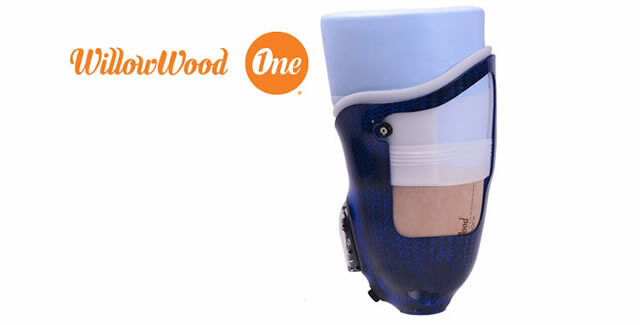 The WillowWood One System incorporates advances in prosthetic technology and seal design to improve fit, function, and comfort of transfemoral prosthetic sockets. 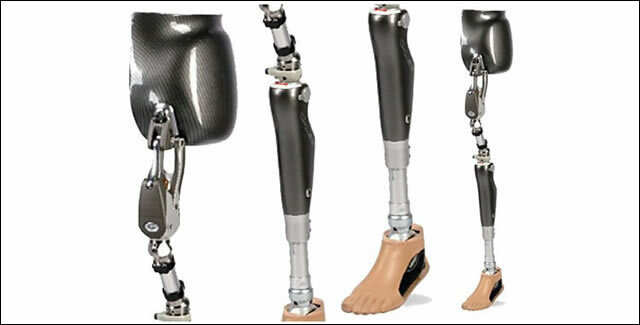 The system prevents the prosthesis from loosening or detaching from the residual limb as well as preventing the limb from rotating within the socket. This superior suspension results from each element of the system working together. The 3R80’s rotary hydraulic responds to ground reaction forces during the stance phase of gait. This gives the user exceptional reliability and confidence to know that their knee will deliver stability when they need it. 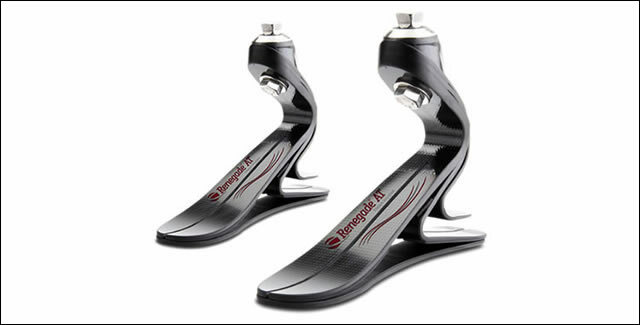 It utilizes a high hydraulic resistance to prevent involuntary flexion of the knee. Accommodates a wide range of speeds for active amputees but is easy for you to fine-tune stance and swing characteristics. 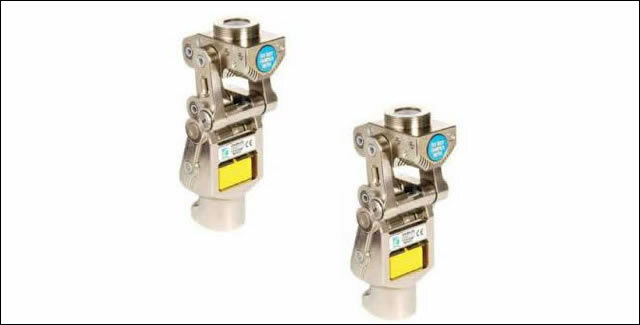 The 3R80’s rotary hydraulic principle is particularly advantageous on uneven surfaces, slopes and when walking down stairs. It creates a high level of stance phase control and boosts the confidence of the user. 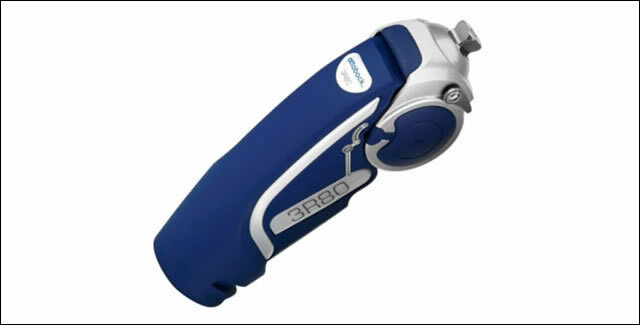 This highly refined polycentric knee with 3-phase hydraulic swing control is designed to withstand the rigors of more active amputees. With a 25% increased fluid capacity over Model 2000 and cooling fins for greater reliability, the 2100 offers the ultimate in stability, control, efficiency and durability. The Total Knee is the go-to knee for superior shock absorption, increased comfort and a more natural gait. Mid-swing shortening offers increased toe clearance during swing to prevent hip-hiking and the 3-phase hydraulic swing control accommodates changes in walking speed. 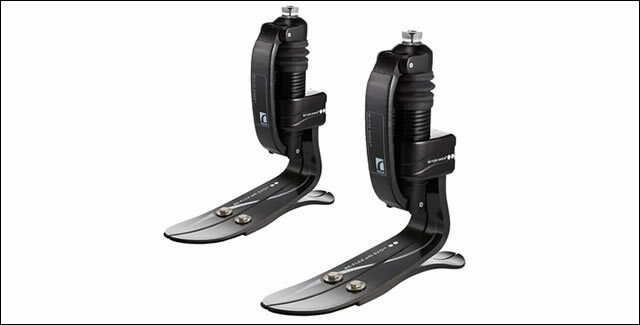 Plus, the adjustable stance flexion feature mimics the knee flexion that occurs during early stance, reducing shock and stress on the residual limb. With the unique Helix3D hip joint system, Otto Bock is setting a new fitting standard for hip joint amputees after a technology standstill that lasted several decades. Helix3D results in three-dimensional hip movements. The novel joint structure with several axes results in an especially harmonious gait pattern. The joint structure of the Helix3D makes it possible to shorten the leg in the swing phase, thus reducing the risk of tripping and falling. Thanks to the large flexion angle, putting on shoes or getting into a vehicle is easier on a day-to-day basis. The Helix3D hip joint system also allows you to sit upright in comfort. With its special spring-hydraulic combination, the Helix3D hip joint system largely compensates for lost hip musculature and reduces the amount of energy expended while walking with the prosthesis. 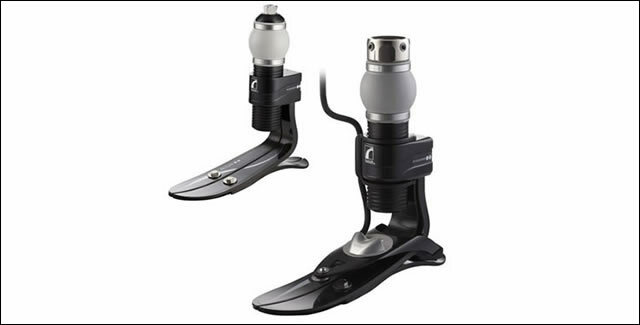 It facilitates a soft, controlled heel strike and harmonious rollover of the foot under full load.